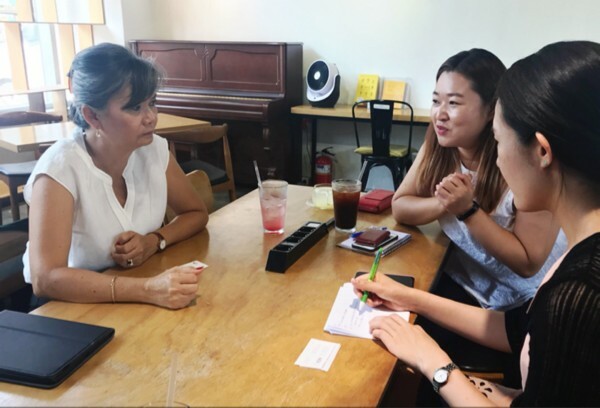 Seoul, Korea – With a day left before the Round Table Discussion on the recent elections in Cambodia, Mu Sochua, the Vice President of the Cambodia National Rescue Party, was interviewed by Hankyoreh, a national daily newspaper in South Korea. In the interview, Mu Sochua shared her thoughts on the current political landscape under the Hun Sen government, the role of civil society organizations and international community, as well as the prospects of democracy in Cambodia. She strongly urged the international community to take actions against the rigged election and to band together to put an end to the decades-long dictatorship and restore free and fair elections in Cambodia. On August 9 (Thu) 7 pm, Cambodia expert Professor Yeonsik Jeong from Changwon University and Mu Sochua, the Vice President of CNRP will have a roundtable discussion on the prospects of democracy in Cambodia and the role of civil society, which is co-organized by the Korean House for International Solidarity (KHIS), People’s Solidarity for Participatory Democracy (PSPD), and the Asia Democracy Network (ADN).